Recently the Indigenous Digital Excellence (IDX) Flint team headed north to the community of Bamaga in the Northern Peninsula Area to host the final Flint workshop for 2016. Head 1000 km north of Cairns and you will reach the community of Bamaga in the Northern Peninsula Area. 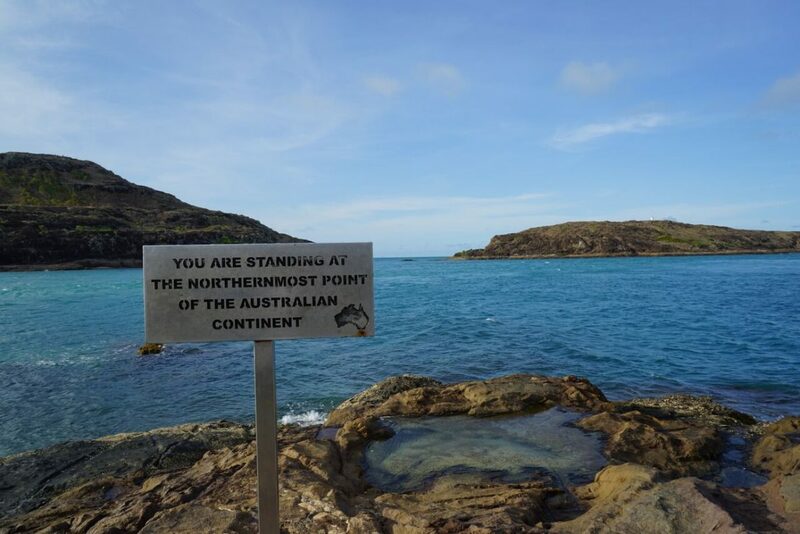 Located a short drive from the tip of Australia – where the red dirt meets the crystal blue water of the Pacific Ocean – Bamaga is the final site visit for the IDX Flint team in 2016. This year the team travelled thousands of kilometres to Cape York, Alice Springs, Bourke, Broome and Robinvale, with the aim to spark the interest, ideas and talent of young Indigenous Australians in making digital technology. 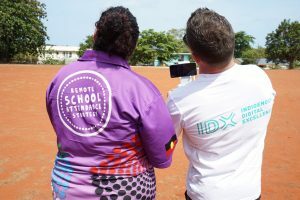 A partnership between the National Centre of Indigenous Excellence (NCIE) and the Telstra Foundation, the IDX Flint program provides $25,000 worth of support for Aboriginal and Torres Strait Islander communities to host hands-on digital learning experiences with a cultural focus. Queensland Department of Education and Training’s Senior Community Engagement Officer Torres Webb, took part in the week long workshop with students from Bamaga State Schools. Mr Webb said he was excited about the program and it’s potential to strengthen community relationships and showcase the talent of Bamaga’s youth. “By focusing on what’s strong rather than what’s wrong, …the IDX Flint program is just the spark needed to tap into the unlimited creative potential our young people possess,” Mr Webb said. It was a spark IDX Flint Manager Grant Cameron saw in several students during the visit. “At the start of the week there were a few participants who said the program will be boring, but once they joined in on the workshop they were very engaged, and willing to share what they had learnt with others during the robotics session,” Mr Cameron said. Students learnt how to code robots, 3D printers and had the opportunity to fly a drone. 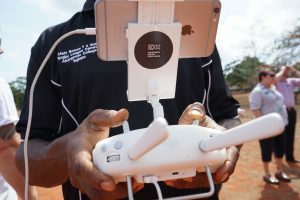 “ There was one student who flew the drone, he looked at me and said Mr Grant I am going to work very hard so I can own one of these drones myself, I absolutely love flying the drone. He then went on to land it by himself which made me very proud,” Mr Cameron said. 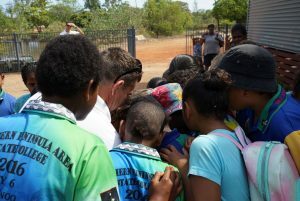 He said it was great to see the enthusiasm of participants in the community of Bamaga. “As a team we never stop learning. Each location tests the technology that we have and the way we teach it. There is nothing more rewarding for us as an initiative than seeing the excitement, the joy and the ability that the young leaders use the technology for the first time. ” Mr Cameron said.